I gave out hard copies of the last written assignment of the semester. Download yours from the assignments page if you missed class. It’s due Tuesday May 7. Of course, next week’s spring break. See you all in 2 weeks. Don’t forget that we have pop quizzes! Make sure to keep up with the reading! For Tuesday April 30 read the first 79 pages (chapters 1-4) of Assata: An Autobiography. Be sure to read the foreward by Angela Davis and Lennox Hinds. Also make sure to pay attention to the various poems she includes in the story on pages 1,17,44, and 62. For Thursday May 2, read pages 80-147 (Chapters 5-9) in Assata Shakur’s Autobiography. Again, make sure to pay attention to the various poems she includes in the story on page 130 (“Love”). Think also about the themes that you should now be able to identify that we’ve been working on all semester. Note specific places in the book where they appear and mark examples of them in your text. 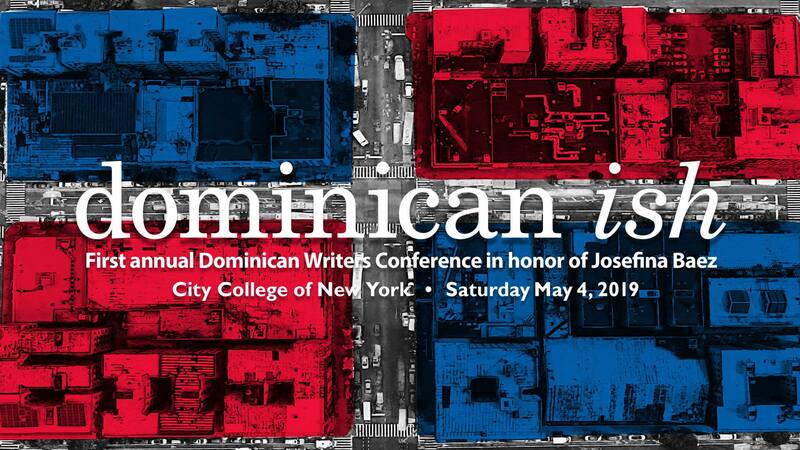 There’s a Dominican Writers Conference at our sister school, The City College of New York in Harlem on Saturday May 4. 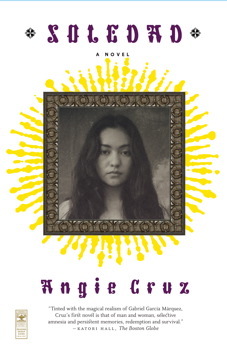 Angie Cruz will be there on one of the panels, though isn’t scheduled to speak about Soledad. You can probably ask her questions before/after her talk, though. Conference details here. Reminder: The next writing assignment, due Thursday 4/18, is on the Assignments page. You can stream the film from the Video page on the course website. Usual password. Be sure to stop by the Lehman library now if you’re having trouble finding acceptable articles to use. Note that the NY Public Library uses the same databases and any location can help you also. Finally, don’t forget that if you need writing assistance fropm the ACE Center, make an appointment now so you have enough time. Remember that hard copies (only) are due. Make sure you have plans to hand the paper in before the break. On Tuesday April 16th, we continue with Soledad. Read pages 112-164 (Chapters 6-7) of Soledad. Continue tracking the themes we’ve identified and how characters develop in the book. For Thursday April 18th, Finish Soledad: pp 165-227 (Chapters 8-11). Turn in Do the Right Thing Paper. Read the last few pages of the conclusion slowly and carefully. What happens? I gave out the assignment sheet to the next paper, which is due April 18. It’s on the Assignments page if you’ve lost/don’t have one. You can also stream Do the Right Thing from the course website on the Video page–same password as everything else. You can also watch it in the Lehman Library and it’s available to rent in all the usual places. I suggest watching it at least one more time and taking good notes while you watch. Be sure to stop by the Lehman library now if you’re having trouble finding acceptable articles to use. Note that the NY Public Library uses the same databases and any location can help you also. Finally, don’t forget that if you need writing assistance fropm the ACE Center, make an appointment right now so you have enough time. Note for NYC residents: the Participatory budgeting process is going on until April 7! If you’re in one of the council districts (list here) participating, you can help decide how some of your district’s budget is spent! You can vote online (not the same as election voting). See the city council’s website for full details. Remember that we also have unannounced pop quizzes, so keep up with the reading! Thursday April 11, we continue with Soledad. Read chapters 4-5: up to page 111 in the new paperback edition. 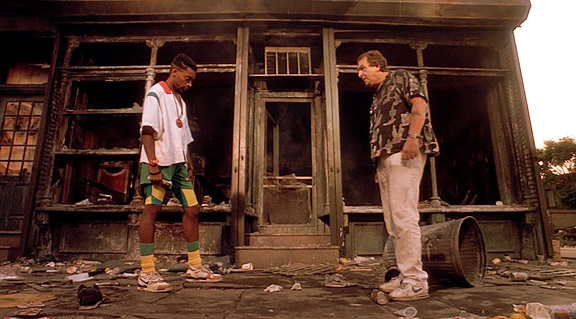 For Tuesday April 2:, we finish watching Spike Lee’s Do The Right Thing. Think about the various themes Lee’s dealing with in the film, especially in context of the time it’s set: Brooklyn in 1989. Read read the chapter from Murray Forman’s The ‘Hood Comes First: Race, Space, and Place in Rap and Hip Hop (Wesleyan University Press, 2002) on reading urban space (PDF on the Readings page). Here’s the sheet of viewing notes (PDF) I gave out in class if you missed/lost it. 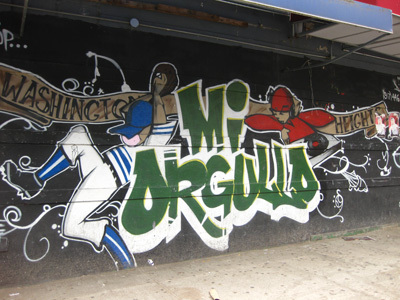 The excerpt from from Murray Forman’s book The ‘Hood Comes First: Race, Space, and Place in Rap and Hip Hop (Wesleyan University Press, 2002) on reading urban space, which is a PDF on the Readings page. Then read this article from New York magazine (“The Tipping of Jefferson Avenue” ) on the intersection of race and Brooklyn gentrification. Optional Bonus: Watch the “Making of” documentary by Spike Lee and legendary, now deceased filmmaker St. Clair Bourne, via YouTube.